The iFilmGroup is preparing to roll out their Scholarship Program for the 2018-2019 school year for high School students who are graduating and planning to moving on to post-secondary studies in acting or in a multi Media/visual arts field. The goal of the program is to give back to the community and help advance youth that are interested in furthering their dreams and goals of working in film or related media either as crew or as talent. 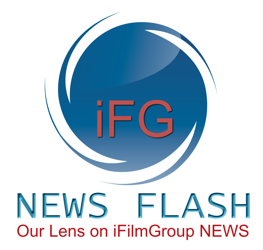 The iFilmGroup is founded in the mission of helping to mentor youth in the film industry. “The mentoring process is more than just passing on skills, it is also about helping them get to the next level by giving them a hand up” says Don Hickey the Community Engagement Manager and co-founder of iFilmGroup. He goes on to add, “the idea of a scholarship or an award of financial aid for a student is to assist in furthering their education in a media or film related field”. In order for a student to receive the Scholarships they will need to apply to the iFilmGroup the same way as students apply for other scholarships. For those applying they will have to meet certain criteria, which in the case of iFilmGroup reflects the values and purposes of what our core mission is” says Hickey. The requirements for those applying have not been released yet. “We are taking the summer to fine tune some things and will launch in the fall when school starts”, says Matthew Marshall the other co-founder of iFilmGroup and the in-house head of the tech department of iFilmGroup. Both Hickey and Marshall know that it’s just the start of summer so no one is ready to think about school yet. It’s the end of June when students have their head's into summer and having a blast and not into school and books”, adds Marshall.